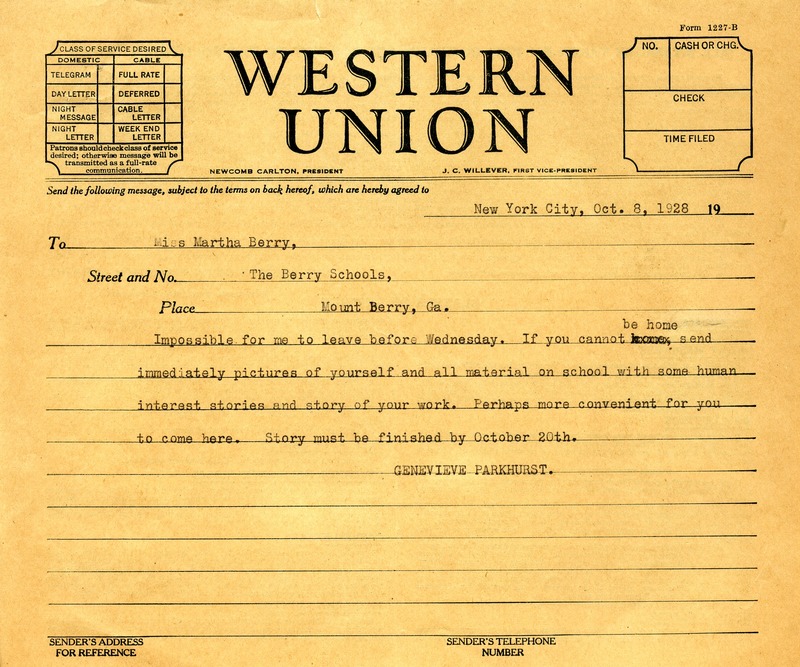 Genevieve Parkhurst telegrams to say that she cannot leave before Wednesday. She suggests that if Martha Berry will not be at the Berry Schools during her visit, then she should send pictures of herself and material on the schools immediately. She suggests it might be more convenient for Miss Berry to come to her. 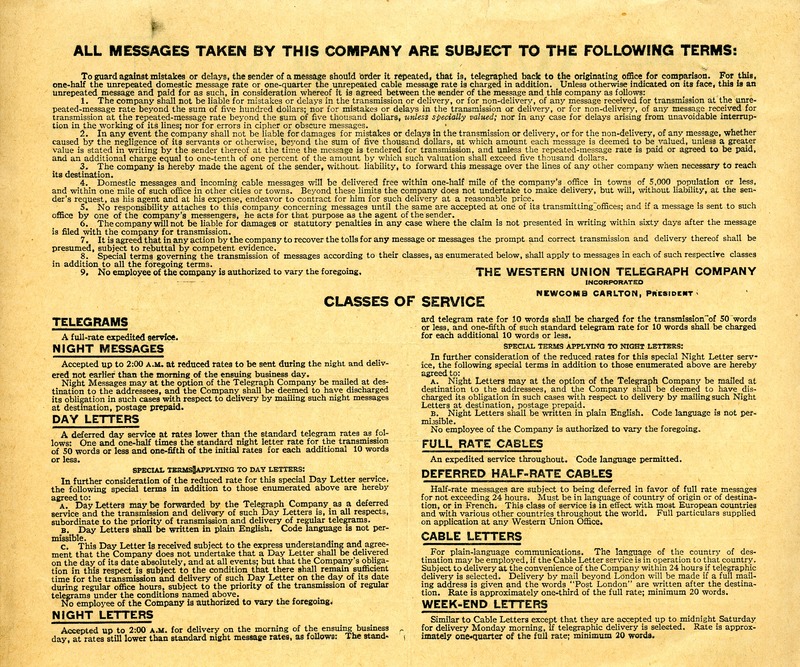 Genevieve Parkhurst, “Telegram to Martha Berry from Genevieve Parkhurst.” Martha Berry Digital Archive. Eds. Schlitz, Stephanie A., Lindsey Purvis, Rachel Renaud, et al. Mount Berry: Berry College, 2012. accessed April 24, 2019, https://mbda.berry.edu/items/show/8622.